Goats-For-Sale-Illinois, there are not many adverts and there are several established breeders of you are looking to source good quality animals in this state. There are many sources of goat sale information, from local and rural newspapers to online sales websites and goat-classifieds. If you want to place your goats-for-sale in Illinois classified then list your animals here and reach several hundred possible buyers a day looking at your FREE advertisement. If you have some goats for sale then submit your advert below and it will be listed free of charge. When the goats are sold simply add a comment Please dlete against your advert and we will remove. Looking for goats-for-sale in Illinois these are the latest Illinois goats-for-sale classifieds. This website is all about goats, by a goat owner for goat owners. Go back to Goat-For-Sale for other US state goat adverts. Use the site to list all your goat requirements and look up issues relating to goat care and goat raising. 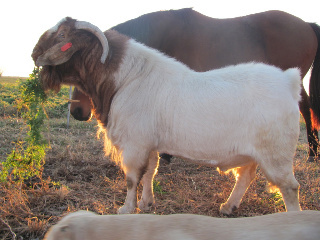 Nannies Goat Farm offers full blood and percentage Boer and Boer cross goats for sale. They are located at Rosiclare, Illinois. Another source is Sarah's Boer Goats & Nubians Too! at Forest City, Illinois. Agmills, Inc runs a 150 doe breeding herd in west central Illinois including full blood Boers and Kiko crosses, and commercial crosses. They are at Rushville, Illinois. A4B Meat Goats are another meat goat producer just west of Champaign and they run Kiko, Boer and dairy breeds. 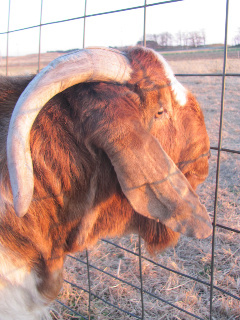 SB Goats offer pure blood, percentage, and commercial Boer Goats and they are near Forest City, IL. Also of the many breeders in Illinois are Sleepy Hollow Farm raise full blood and percentage Boers at Havana, Illinois. Check out the Illinois Boer Goat Breeders page for a full list of contacts and breeders details if you are looking for goats for sale in this state. Nubian, Central Illinois - I raise Nubian goats for milk and temperament in central Illinois. I have a few kids for sale every year, and occasionally adult does or bucks. www.intothewoodsfarm.weebly.com Goats-For-Sale-Illinois.